WhiteCloud Software Ltd. announced the announce the release of version 3.05 of EAComposer. An innovative and simple-to-use enterprise architecture tool used it to manage your IT landscape and technology portfolio. Delivered as a pure SaaS product: cloud hosted with a subscription based license model. 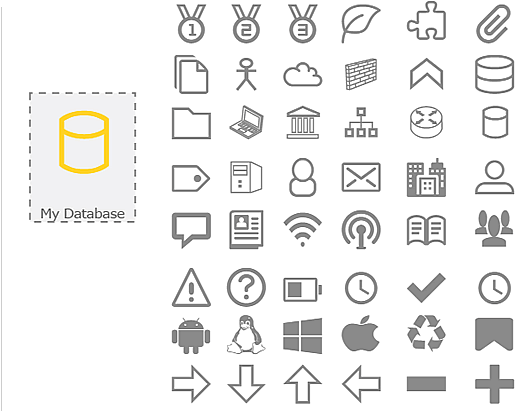 - Improvements to the visual modeler: we added 150+ icons that you can add to your diagram things like user-icons, server-icons, network-symbols-icons etc. Things you often include along side the architectural components. We also added the feature for you to color icons including the archimate icons. - General stability improvements, we want to make sure the platform is 110% stable before we start our reporting & dashboards feature enhancements. - We squatted a few minor bugs along the way which affected the Tutorials section, Visual Modeler, Architecture Portfolio. Nothing major and you might not have encountered these.